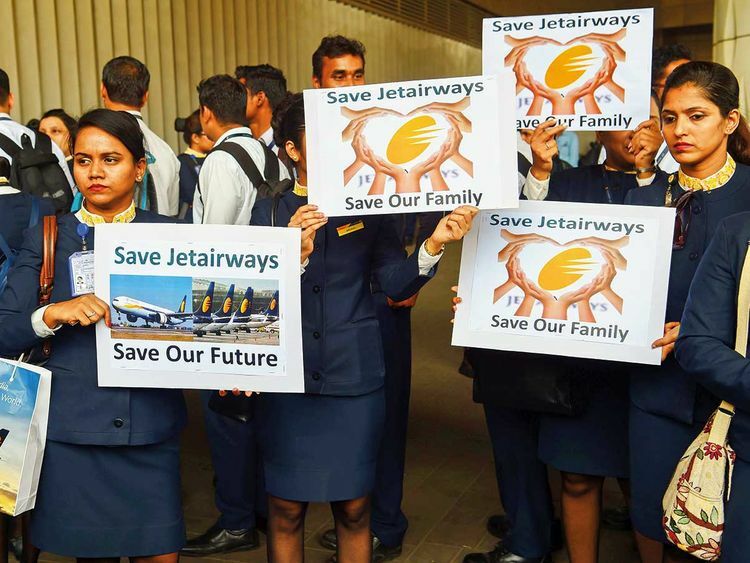 MUMBAI: India’s Jet Airways extended a suspension of all of its international flights until Monday, the latest blow to the debt-stricken carrier as it battles to stay afloat. The development Friday came after the government said it would investigate Jet’s ability to continue flying as lenders desperately seek a buyer to keep the beleaguered airline running. A Jet Airways source told AFP that all of Jet’s international flights out of and into India until Monday had been cancelled, extending a series of cancellations announced on Thursday. All of Jet’s long-haul flights were cancelled on Thursday, including to London, Paris and Amsterdam. They had been due to run later on Friday. Etihad Airways, which owns a 24-percent stake in Jet, has submitted an expression of interest to buy a controlling stake of up to 75 per cent, according to Indian business dailies. Goyal has also not given up hope of retaking control of the airline, papers say, although it is unclear if he would be able to put the necessary funds together.